Santa Rosa, CA and New York, NY; April 4, 2019 - For the first time since 2017’s wildfires, URJ Camp Newman campers will be able to enjoy time outdoors at their home campus in Santa Rosa this summer. The Union for Reform Judaism (URJ) announced today that URJ Camp Newman will offer the Porter Creek Adventure for all 2019 summer campers. During the day-long outdoor excursion, campers will return to Camp Newman’s beloved campus on Porter Creek Road in Santa Rosa to enjoy some of camp’s all-time favorite adventures and activities, including hiking to the Star, the ultimate Camp Newman rite of passage. The Porter Creek Adventure allows all campers to immerse themselves in the great outdoors among the redwoods on the camp’s 500-acre Santa Rosa site. 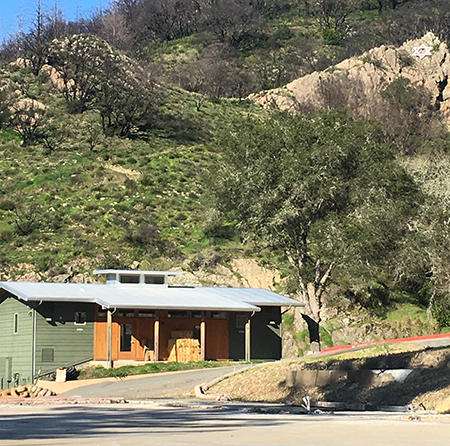 In October 2017, the camp’s physical location sustained significant damage during the Tubbs Fire which caused widespread deaths and destruction in Northern California. As in 2018, camp will return for Summer 2019 to Cal Maritime in Vallejo, the beautiful bayside, state-of-the-art facility where Camp Newman’s overnight summer camp program continues to flourish. Michelle Tandowsky, Advisory Board Chair, URJ Camp Newman, and Rabbi Doug Kahn, Executive Director Emeritus of the Jewish Community Relations Council, San Francisco, are leading a Master Planning Task Force made up of experts, lay leaders and community stakeholders who are creating the vision and master plan principles for the rebuilding of the year-round community center and summer camp at Camp Newman. URJ Camp Newman inspires a love of Judaism, 365 days a year. We connect children, youth and adults to an expansive menu of fun, immersive Jewish experiences all year long. Every summer, over 1,500 young Jews begin a journey of lifelong Jewish living and learning at Camp Newman. They join a loving community guided by over 200 Jewish mentors, educators and leaders where friendships thrive and self-esteem flourishes. Camp Newman is supported by the Union for Reform Judaism (URJ), the largest and most diverse movement in North America, and is part of the URJ’s North American camping system. Visit us at URJ.org to learn about our social justice initiatives, camps and programs for young Jews, services for congregations and communities, and how you can work with us to create a more just, whole, and compassionate world. Enjoy related content at ReformJudaism.org and connect with URJ on Twitter and Facebook.